Hear me out. How does this sound to you? A first-person survival game without limit and endless number of adventures. Not good enough? How about a game where you can exchange planetary information between millions of online gamers like yourself? Still no? Well, how about we add some action and survival in harsh environments with limited tools and supplies? Sounds promising? In that case, welcome to No Man’s Sky! Although the 2016 gaming year will be the year between Call of Duty and Battlefield, there is plenty of space for other contenders. 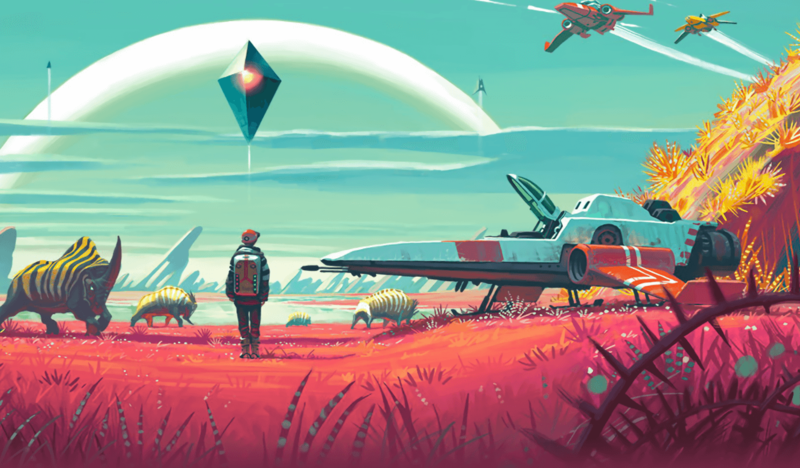 Game studio Hello Games has spent the past three years developing a game that will change the way we see open-world adventure games. Despite of the fact that there are multiple identical games representing this particular genre, No Man’s Sky is in its own league. How so? The game technology is based on procedurally generated deterministic open universe. If you’ve never heard about such a thing, you’re not alone. Computer engineers use this term in the same way as Starbucks baristas use the word latte. In a simplistic way, procedural computing means a computing process where a process is divided onto sub processes meant to simplify problems by further divisions. As a result complex computing commands are made simpler. Putting this concept into the gaming world will generate large and stable open-world based game environments. Let’s return to common language. In No Man’s Sky, players have free hands to explore the massive universe with over 18 quintillion planets. Mathematically speaking, the probability of running into another player on one planet is near zero. In order to explore such a vast universe, you’ll have surprisingly few tools. All players have a special scanner, which can be used to scan potential planets. All the scanned data can be sold to a worldwide database called Atlas in order to earn money for your tool upgrades. You’ll also have a backpack rocket to help you travel across the universe and a somewhat arcane tool to defend yourself from pirates and dig minerals from the planet soil. There is also a fascinating feature in communication. In order to communicate with extra-terrestrial species, you have to learn and master their language. One would think that the laws of anarchy would dominate the universe. However, players will find out very quickly that exploiting too many resources or stealing from others will get you in trouble with Sentinels, the universe’s cops. Each player has a “Wanted Level”, which tells how much trouble they’re in. Unfortunately, three years of excruciating development work was not enough for critics. No Man’s Sky won’t be the best game of 2016, but it will surely keep you busy trying to dig up enough minerals for your next intergalactic journey. Statistically speaking, an average player will probably cover about 0.6% of all possible planets. 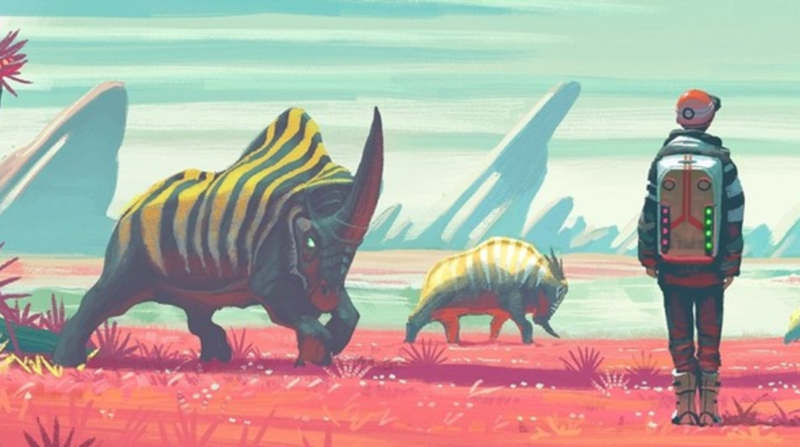 Regardless of the critics’ myopic views, we thank Hello Games for their pioneering work!